Orangevale, California is home of some of the best peaches in the world, but I am biased because it is my hometown. Like most teenagers in Orangevale, my first job was at Tomich Bros. Orchard. Working at a peach orchard gave me an appreciation for hard work and the taste of a good variety of freshly picked peaches. As a child of the 1970’s, I remember peach flavored sweets were not good. In fact peach flavored candies were thrown out because they had an odd heavy wine note. In the late 1980’s this changed with the release of Snapple® Peach Ice Tea. For me, the peach flavor in Snapple® revolutionized peach flavors. The flavor chemist that developed the Snapple® peach flavor contacted my employer to apply for a senior flavor chemist position at the company. When the general manager asked for a résumé, the flavor chemist replied “I’m the flavor chemist who developed Snapple ® peach”. That flavor chemists believes this is all the information a potential employer needs. Needless to say, my previous employer did not hire this person. 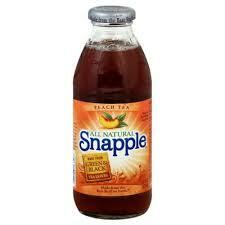 I did not learn the secret of Snapple® peach tea. There is an aromatic called “peach aldehyde” (FEMA 3091) and I believe this chemical is the reason the candies that were developed in the 1970’s were so horrible. Although, peach aldehyde smells fruity like peaches, I only use it in cream cheese or cheese cake flavors. I learned from a talented mentor that certain gamma lactones, are the secret to a good peach flavor; specifically gamma-Decalactone and gamma-Nonalactone. Peach flavors are very complex, and unless you have a good peach essence to build off, a flavor chemist will need at least 20-30 aromatics to blend a decent peach flavor. Floral sweet esters that help build a good peach flavor are: Geranyl butyrate, Geranyl propionate and Phenyl ethyl isobutyrate. Linalool, Benzaldehyde, iso-Amyl acetate, and cis-3-Hexenol are fruity notes that are also key for this flavor. An authentic, fresh note that may have revolutionized peach flavors comes from bucchu oil, p-menthan-8-thiol-3-one (PMT). At full strength, PMT smells like cat pee, but in very dilute amounts, PMT adds authenticity to fruit flavors. More information on the aromatics found in peach can be found in published articles. 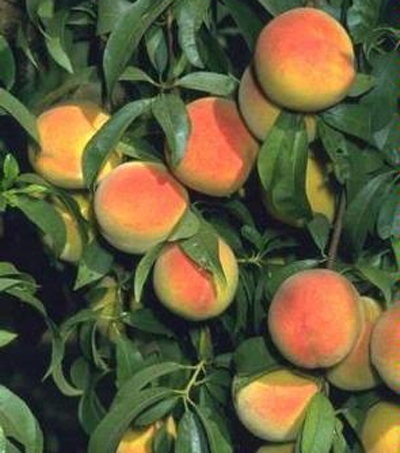 Fresh, ripe delicious peaches can be purchased at local orchards in Northern California July-September every year, Tom Tomich might recommend the O’Henry variety. Finally, remember, our sense of smell and taste is more astute than any analytical instrument. Therefore, look at the data, but trust your judgement. This is how flavors are revolutionized. Martin: Wouldn’t it be fun to get together to taste each other’s creations and share ideas? Thank you again for contributing, it makes blogging fun and useful. I particularly like that you mentioned some of the orange aldehydes that are useful in peach flavor: Decanal and Nonanal. It’s extremely difficult to find the right amount of these to blend in a flavor, but when you get it right, the affect on the final flavor is worth the trouble. I bet your peach flavor is amazing.